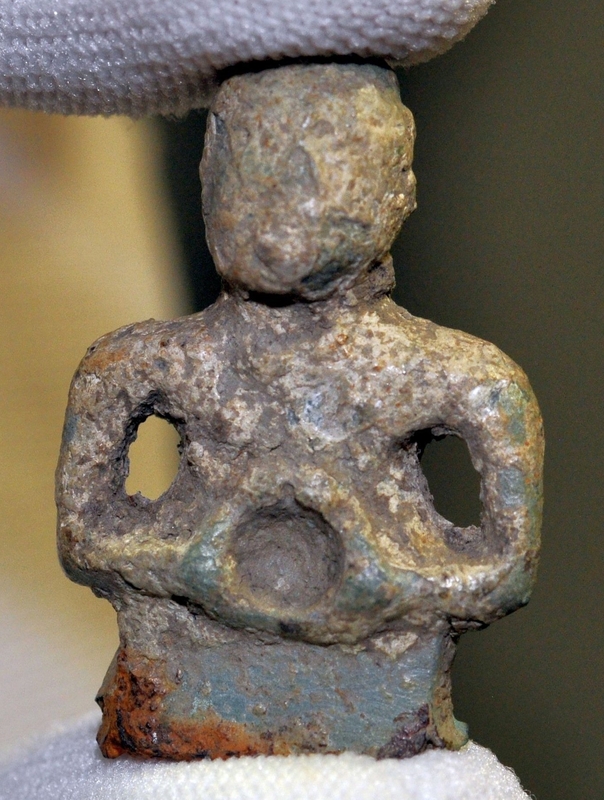 Archaeologists have unearthed a tiny figurine of a Celtic god on the grounds of the Wimpole Estate in Cambridgeshire. The Lamp Hill site was being excavated before construction of a new visitor center and parking lot on the National Trust property. 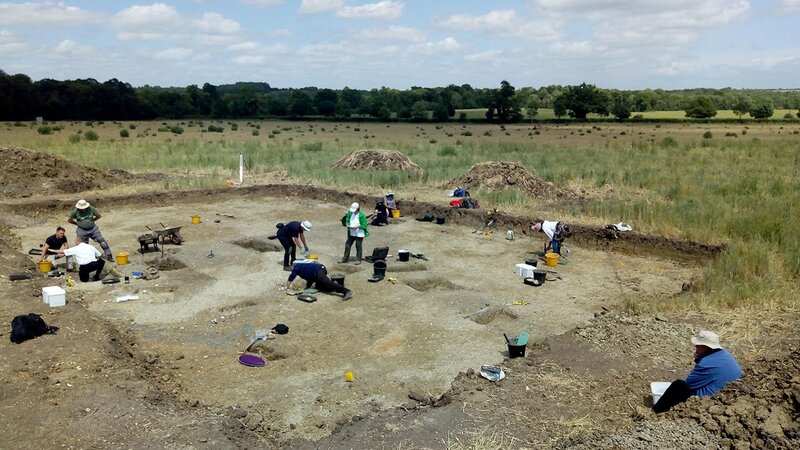 Oxford Archaeology East started the dig in July and over the next three months discovered a Late Iron Age to Early Roman (ca. 100 B.C. – 150 A.D.) settlement that was much more extensive than they expected. There were dense layers of remains — livestock enclosures, agriculture, pottery making, homes — representing the variety of uses the land had been put to in antiquity. Even with 19th century coprolite mining having damaged the center of the settlement, towards the outer edge of it archaeologists found two roundhouses, a corn dryer and a broken pot indicating that pottery was produced there. There was also imported pottery, fragments of a glass vessel and metalwork that suggest there was a significant trading network supplying Wimpole with goods. Military objects seem to have been particularly desirable. The settlement was rural, but it was located close to the Roman road known as Ermine Street (a derivative of its Old English name; the Roman name is unknown), which ran from London’s Bishopgate through Lincoln to York. Approximately 300 metal objects were found during the excavation, including coins, horse harness fittings, Roman army uniform fittings, weapons, jewelry and iron nails. The stand-out metal piece is a copper alloy figurine two inches high. 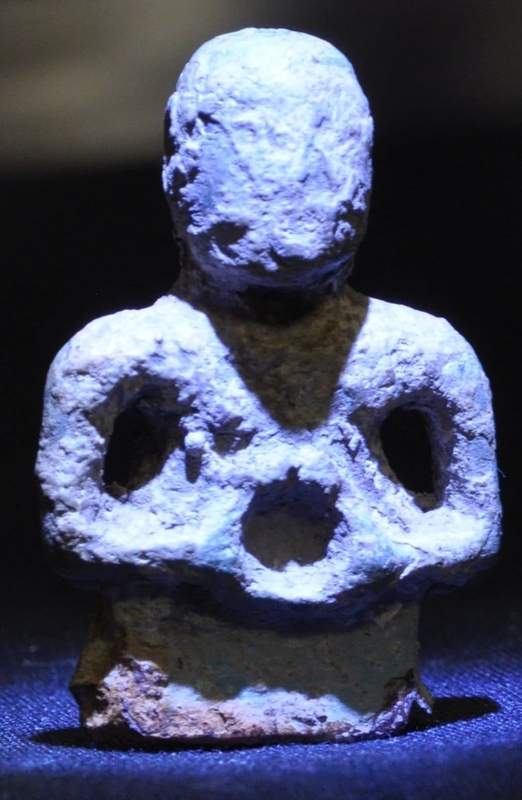 While the face has worn off, the individual is posed holding a torc, a posture typical of figures representing the Celtic fertility god Cernunnos. Similar figures of Cernunnos have been found carved in stone, but it is the first metal version to be discovered in Britain and shows strong links between the ancient people of Britain and the Roman legionnaires. Stephen Macaulay, Deputy Regional Manager at Oxford Archaeology East, which carried out the excavation, said: “The face of the figurine has been rubbed away, but we see similar figures of Cernunnos, so it’s like finding a worn version of Jesus on a crucifix, it’s the shape you expect to see. “He was an important God to the Celts, but this shows how accepting the Romans were of other religions, they often just merged the Gods with their own. The Romans really ran their empire like the British did, they would conquer and then reinstate the people who had already been in charge. The objects unearthed in this summer’s dig are being cleaned and conserved. They will be placed on display at Wimpole in future exhibitions. This entry was posted on Thursday, December 13th, 2018 at 11:07 PM	and is filed under Ancient. You can follow any responses to this entry through the RSS 2.0 feed. You can skip to the end and leave a response. Pinging is currently not allowed. Whose coprolites I wonder? The former inhabitants? There was a period when coprolites were explained as dinosaur poo. Whether this was a joke for children I don’t know. Concretely, I now have been informed that the English had a certain reputation for their ‘manures’. This strikes one as a rich (sorry) subject for further research. Coprolites àre dinosaur crap. So cut the crap.